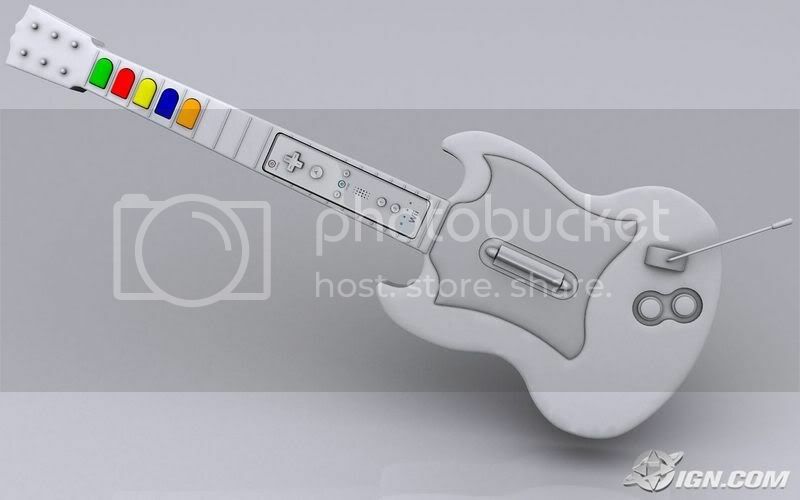 as you can see the wii version of guitar hero 3 will be cheaper than the 360 and PS3 because they dont have to spend alot of money on making it wireless, because as you can see the wii version, you can just stick your wii remote into the guitar to make it wireless. isn't that the mock guitar? I know the list is out there, or a part of the full list is out there, but I'm wondering: what songs do you wish would be on there? Not even that, maybe a cartain song? I for one could go for some MCR and FOB. That's just me. I like the fact that Miss Murder is on there. Wooo!! Come on Oct. 29th!!! anything from metroid. Metroid metal all the way! Subject: Re: Guitar hero 3 on wii! !